Waterfowl including duck populations may vary and a hunters success often changes but the gear just keeps improving. These duck hunting gear improvements include ammunition, clothing, boats, motors, blinds, gun dog training methods, decoys, and other hunting equipment. Many hunters believe that the modern, shot shells and ammunition available today is far better than lead shot from years ago. Some of the major improvements include higher velocity loads and non-toxic shot. With this improved gear, hunters can successfully shoot ducks from further away and have far more choices available in ammunition. Camouflage hunting clothes have certainly improved the equipment. There are duck hunting garments nowadays, made from extremely lightweight, waterproof materials that keep you comfortable and dry far longer. 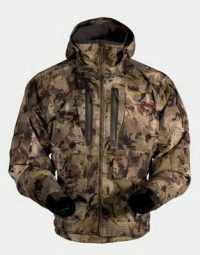 The new hunting jackets are wind proof, keep the hunter warm, are lightweight and give the duck hunters freedom of movement. They make duck boats much more advanced and specialized today than the boats from years ago. Duck boats are an important part of the necessary tools used for navigating lakes, cattail sloughs, swamps, big rivers, and streams. Manufacturers of watercraft realized the importance of boats for waterfowl hunters and today, almost every major boat manufacturer got on the bandwagon and now produces waterfowl/duck boats. There are Jon boats for duck hunters that come in many different lengths, models, a big selection of camouflage paint colors, and have accessories available such as a built in fuel tank, grab rails, gun storage boxes, lights, bilge pumps, center or side console steering, ice chests, and bench seats. Some duck hunting boats even have lockable dry storage and shelving for storing decoys, shotguns, and many other items. Both land and boat duck blinds today have undergone huge transformations with better designs, materials, and superior construction. When it comes to equipment, the new duck blinds are easy to install, portable, compact, affordable, lightweight, and hide hunters efficiently. The boat blinds are made of rugged nylon fabric, with sturdy frames, and easy to setup, attach, and take down. Duck boat motors have also undergone a variety of important changes over the years. Surface drive model mud motors move both larger and small duck boats across water-related obstacles such as logs, sand, mud, swamps, weeds, and other things that would bog down or destroy the old water-cooled, conventional outboard engines from years ago. Compared to years ago, today’s modern duck hunting gear certainly makes hunting easier and far safer for duck and waterfowl hunters. Hunters are now comfortable while they enjoy their favorite outdoor activity.